We are rendering Heat Exchanger Repairing Service to our patrons. 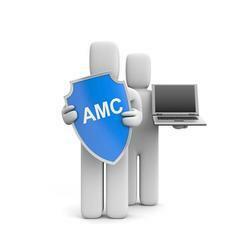 Due to prompt completion, our offered service is extremely admired in the market. Our service meets on client’s demand. Moreover, we render this service as per patron’s demand. We are rendering Heat Exchanger Cleaning Service to our patrons. Due to prompt completion, our offered service is extremely admired in the market. Our service meets on client’s demand. Moreover, we render this service as per patron’s demand. We are a renowned name, which is engaged in offering Heat Exchangers Maintenance. We repair and service all type of heat exchanger, Oil coolers, After coolers, Inter coolers, for all application and industries, at site or at our works based in Pune. We also repair and ensure quality work, with warranty of 1 year from date of repair or 10 months from date of installation which ever is earlier. To match up with the requirements of our clients, we are instrumental in providing Heat Exchanger Maintenance Service. Tube Size: 3/8", 3/4", 5/8", 1/2", 1"
With the help of adroit experts, we are proficient to offer Heat Exchanger Maintenance Service which are widely well-liked in the market. Our works are completed employing the advanced technology. Furthermore, we offer this work at nominal prices to our patrons. 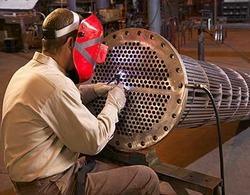 We offer the Heat Exchanger Operation Maintenance Service to our customers.